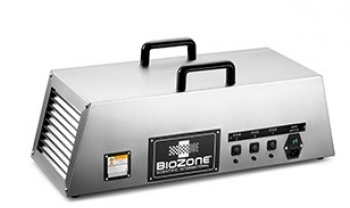 BioZone UltraZone for the removal of serious odours and contamination. BioZone UltraZone has been designed to treat larger areas or areas with higher remediation needs that are due to odours, bacteria and/or mould. Treatment of air and surfaces where there is an accumulation of organic material with high microbial activity that quickly multiples into a serious pungent odour also a spread of infection diseases. UltraZone can greatly degrade the hydrogen sulphide, ammonia, volatile organic compounds and other harmful gases, with no secondary pollution and provide effective environmental solutions for that type of organization, reducing the complaints of nearby residents.. Depending on the number of air changes, the amount of the microbial contamination, temperature and ventilation within the area to be treated for odour and bacterial contamination, a site assessment needs to be carried out to choose a suitable BioZone UltraZone.